MOCA and NYAWC to Host Private Preview Screening of "The Opposite of a Fairy Tale"
"The Opposite of a Fairy Tale," a movie about a woman imprisoned by her family, will enjoy a private preview screening in NYC on June 16th. 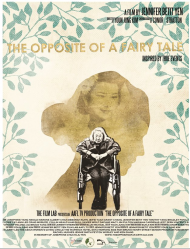 NEW YORK - June 1, 2016 - PRLog -- The New York Asian Women's Center ("NYAWC"), Film Lab and the Museum of Chinese in America ("MOCA") will be hosting a very special private preview screening of The Opposite of a Fairy Tale (http://www.imdb.com/title/tt5009066/) at MOCA on June 16, 2016, in honor of Elder Abuse Awareness Day, which is the day before. The film is a fictionalized psychological drama designed to draw awareness to the epidemic of elder abuse in the US and is based on the true story of artist Josephine Yen, the writer's grandmother. The private preview will include free admission to the museum, a reception, and a panel. The panel will include actor/writer/producer Jennifer Betit Yen and actor Fay Ann Lee from the movie, as well as experts Peter Cheng and Kayla Chan, Counselor Advocate at NYAWC. Faye Layman of NYAWC will moderate the panel. The film stars Jo Yang, Nikole Marone, Deb Kuhn, Albert Chan, and a host of other talented actors. The film was made possible, in part, through a grant from the Asian Women's Giving Circle and from generous contributions by The Warwick Hotel, Ron Bruno and the Morningside Retirement Community, ESTA, the Henry Street Senior Companions Program, Fushimi NYC, AAARI-CUNY, Betty Lee Sung, NYAWC, and Larry Lee. www.TheOppositeOfAFairyTale.com. The Film Lab is a non-profit 501(c)(3) headquartered in New York City that provides free or low cost programming to promote and support ethnic and gender diversity in film and television. The membership has grown to comprise professionals, artists and other talented individuals who all share the common goal of creating great film and promoting Asian American filmmakers and other filmmakers of color, and the visibility of their stories and characters in film and television. Film Lab's programming includes the AAFL TV production arm; the Industry Spotlight program, in which established industry professionals share their knowledge, expertise and advice via filmmaking workshops, screenings and more; and Unfinished Works, a program for aspiring writers in which selected writers have their pieces performed by Film Lab Actor Directory members in a public table read, followed by a workshop moderated by Film Lab Unfinished Works Coordinator Mahima Saigal. The Film Lab also holds film competitions including the annual 72 Hour Shootout®, which has inspired hundreds of filmmakers by helping nascent talent take brave steps towards a filmmaking career. The Film Lab management team consists of Jennifer Betit Yen (President and Board Member, founder of AAFL TV Production Arm), Chloe Jenkins (Treasurer and Board Member), Daryl King (Secretary and Board Member), Mahima Saigal (Unfinished Works), J.D. Brookshire and Cici Chu (2016 72 Hour Shootout staff), along with a dedicated Board and event volunteers. Board members include James Kyson and Aaron Woolfolk, among others. For more: www.film-lab.org.